Newton Abbot resident, John Mooner captures on camera what he calls a "blue centred type UFO." A NEWTON Abbot man has told of the moment he spotted a UFO in the sky while stargazing on Thursday night. when he spotted a blue glowing object moving very high up in the night sky. 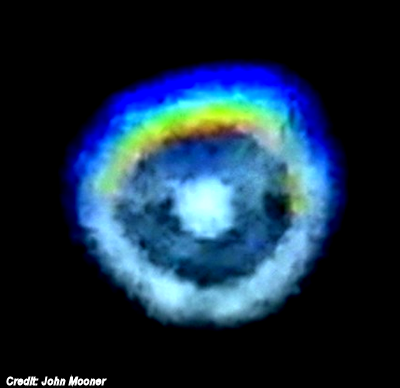 He believes that what he captured on camera is a blue centred type UFO. Mr Mooner said: “At first the object kept changing direction, so I know it could not be a satellite. The blue glowing object started to move away getting further and further away.